This charming Inn is located near the heart of the Village of Arroyo Grande along the Central Coast of California between Los Angeles and San Francisco. 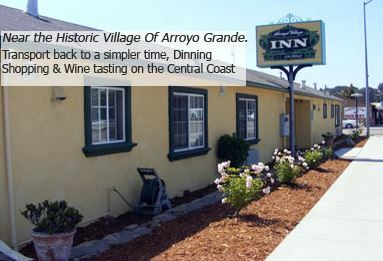 Arroyo Grande is a perfect vacation destination located near some of the most beautiful cities along the central coast. We are just 3 miles from Pismo Beach and 10 miles down the road from Lopez Lake.